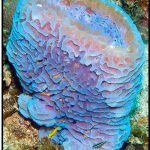 The benthic community is home to numerous of organisms that live on and inside the coral reef, all competing for space of their own. 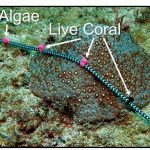 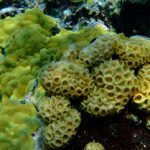 We focus on understanding the ecological interactions of important benthic organisms including reef-building corals, algae, and other sessile invertebrates and how they interact and influence overall reef condition. 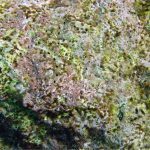 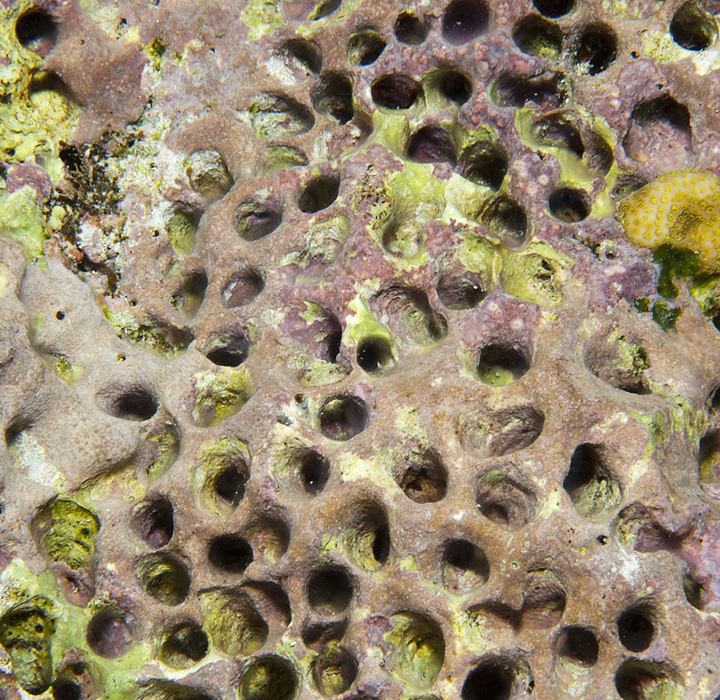 Healthy reefs have abundant, live corals and other reef-building organisms, like crustose coralline algae. 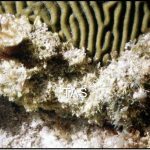 Degraded reefs result when many live corals die and are overgrown with fleshy seaweed or other organisms that displace coral and prevent coral larval settlement. 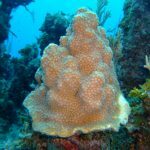 Optimal reef growth occurs when there are more of these reef-building organisms than there are organisms that kill corals or erode the calcium carbonate reef structure. 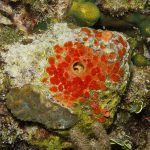 Corals need help from other biota like urchins and parrotfish to keep competing organisms in check. 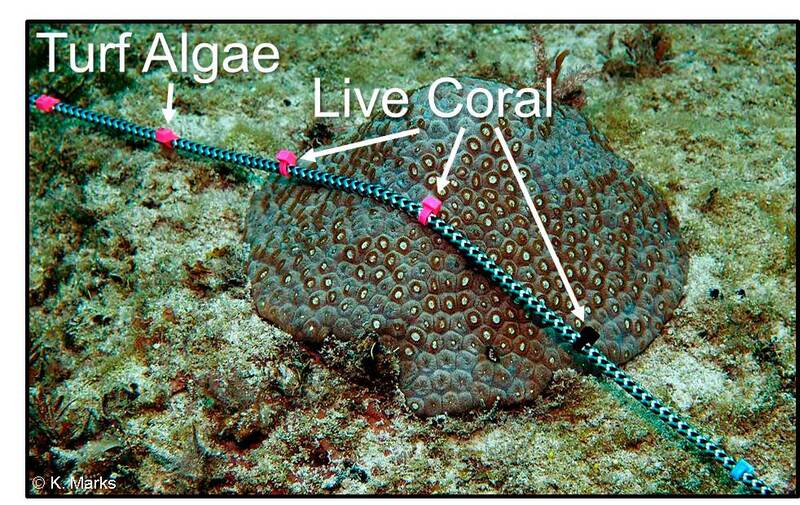 The AGRRA Benthos method uses point count, quadrat, and belt transects to survey various benthos-related groups. 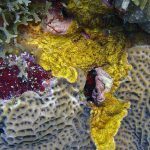 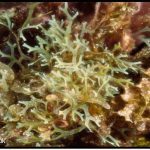 The goal is to understand the ecological interactions of important benthos including reef-building corals, crustose coralline algae, algae, and other sessile invertebrates. 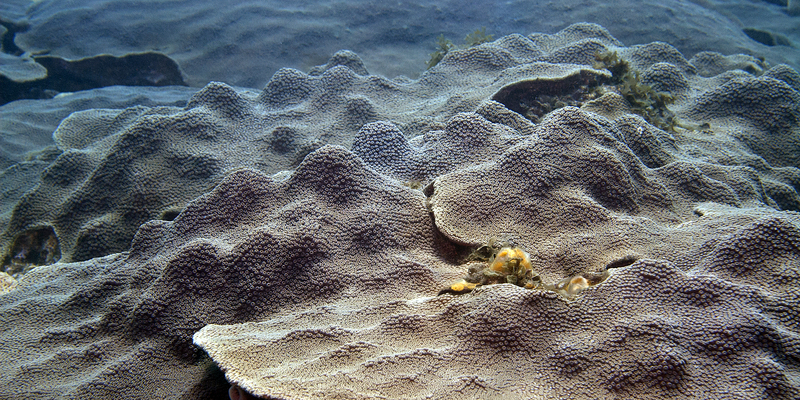 The reef surface is covered by a) “promoters” – live corals and other organisms that promote their well-being and b) “detractors” – competitive organisms capable of overgrowing and displacing corals. 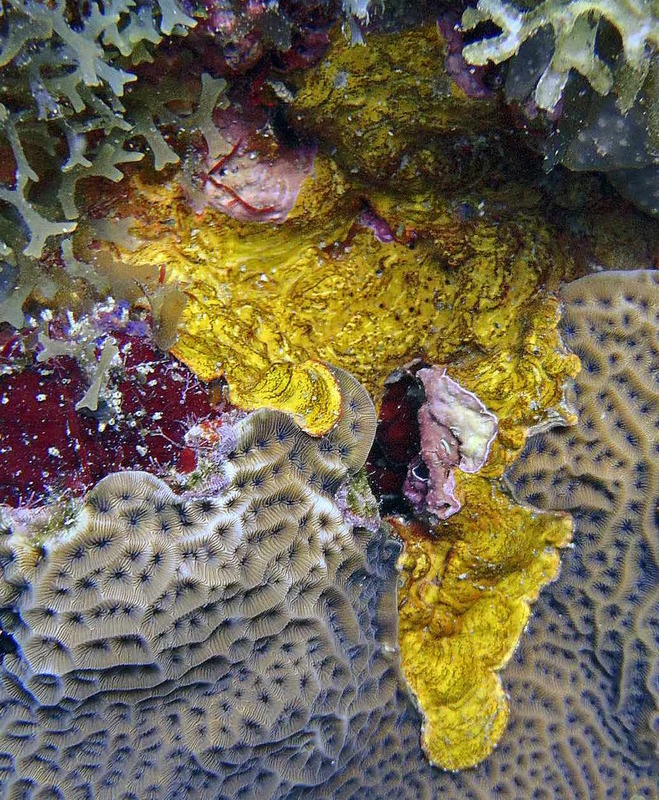 The benthic index compares the relative cover of reef-growth “promoters” vs. the “detractors” that displace corals or prevent the settlement of coral larvae in the benthic transects.The combined grade is based on the percent cover of these organisms, with reefs with more live corals and organisms promoting reef growth scoring higher. 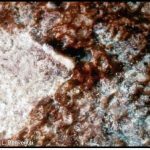 Scroll through our photos here to take a look. 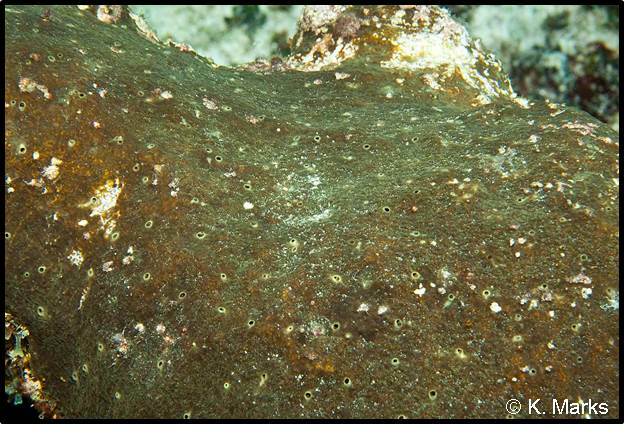 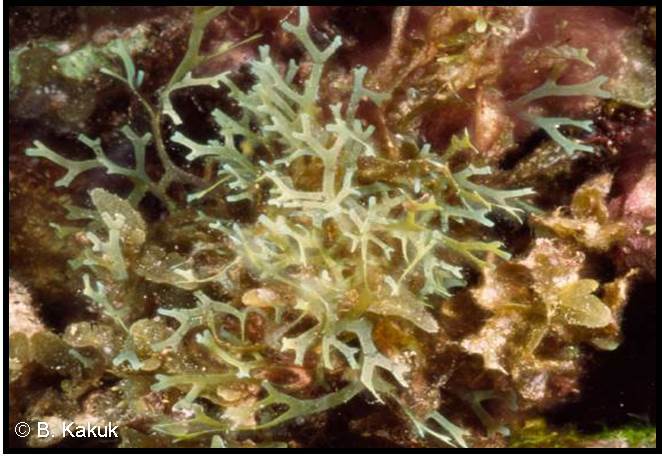 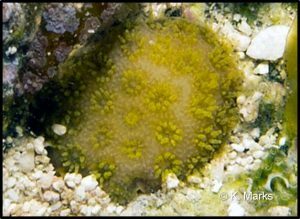 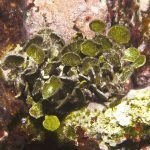 Detractor Clionid sponge - Species of Cliona with brown colored tissues that contain photosynthetic symbiotic microalgae (Symbiodinium). 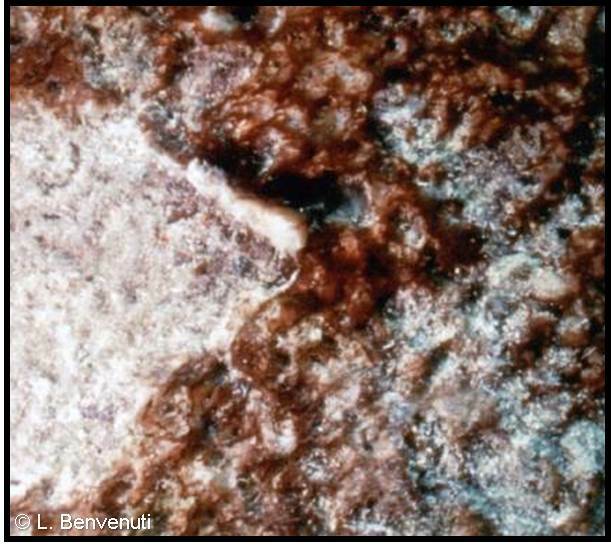 Peyssonnelids red algae with very thin crusts, often calcified that overgrow corals, appear to be chemically defended against fish herbivores and don’t serve as settlement sites for coral larvae. 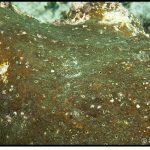 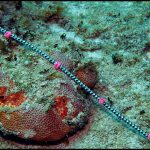 “Aggressive” invertebrates kill and expand over the skeletons of corals and crustose coralline algae and include species of Cliona that expand over the surface of a coral after excavating cavities in its skeleton. 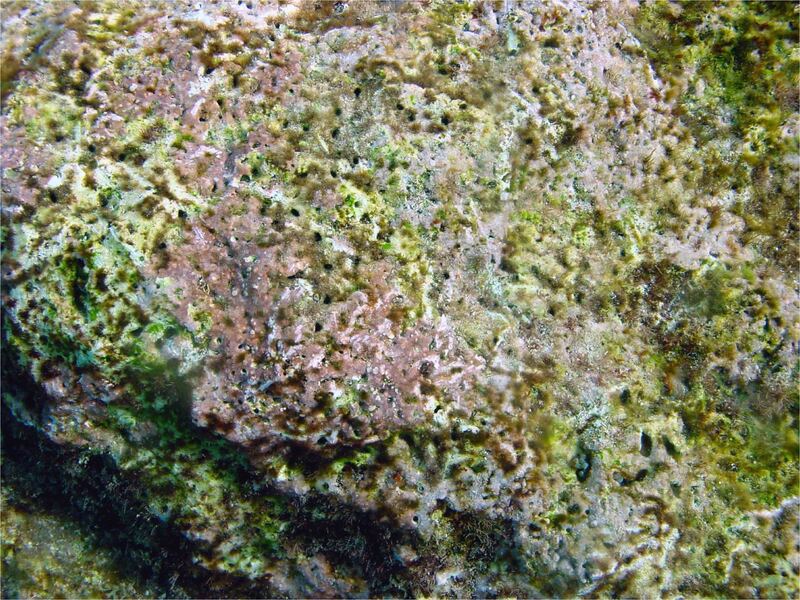 Some benthic animals do not assertively kill and overgrow corals and crustose coralline algae, such as blue sponge. Coral Recruits are newly settled or juvenile corals. 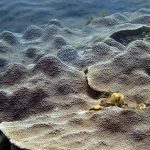 They are counted to approximate the potential for future reef growth, especially after catastrophes. 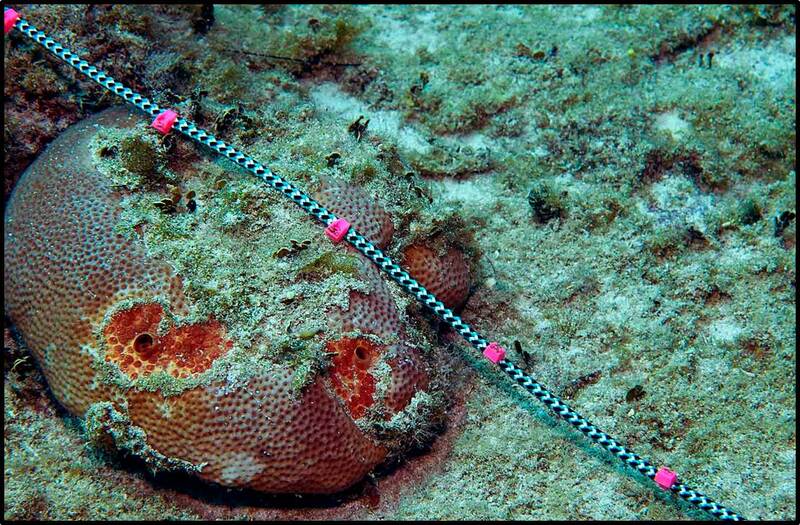 Coral larvae need to settle on solid surfaces like coral skeletons and crustose coralline algae. 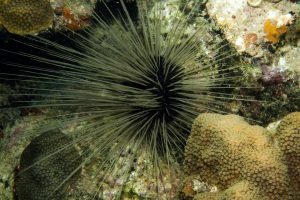 The long-spined black urchin (Diadema antillarum) is a key herbivore on many western Atlantic reefs. 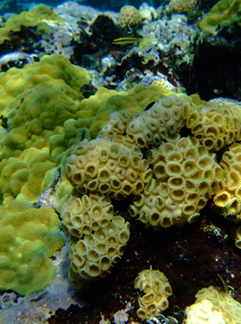 Their populations were decimated by disease in 1983-84. 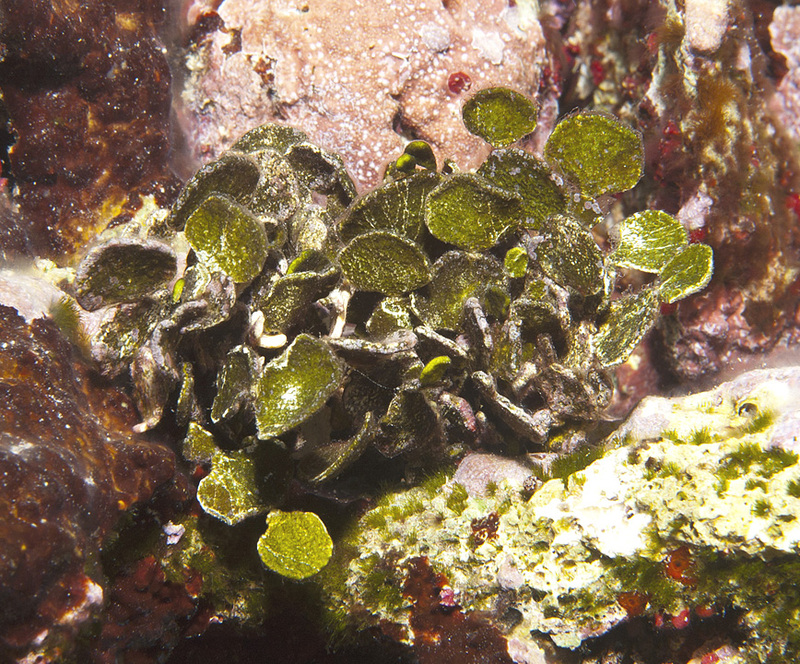 Many Diadema populations have not recovered on most reefs. 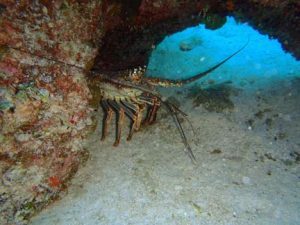 Caribbean spiny lobster (Panulirus argus) is highly fished across much of the western Atlantic. 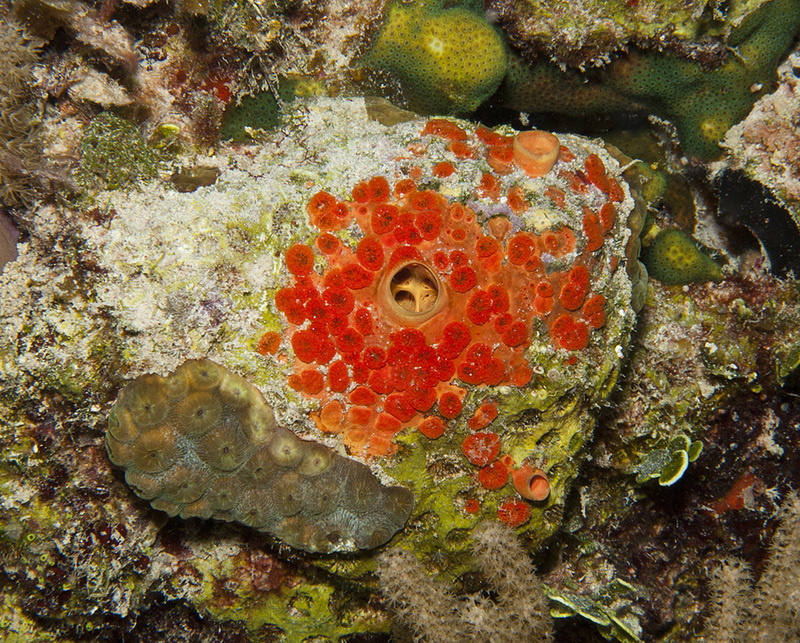 They feed mostly on smaller, slow-moving or sedentary invertebrates. 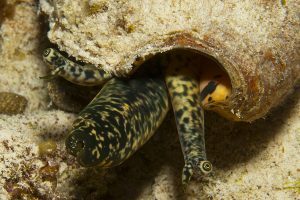 Queen conch (Lobatus gigas) is a herbivore gastropod. 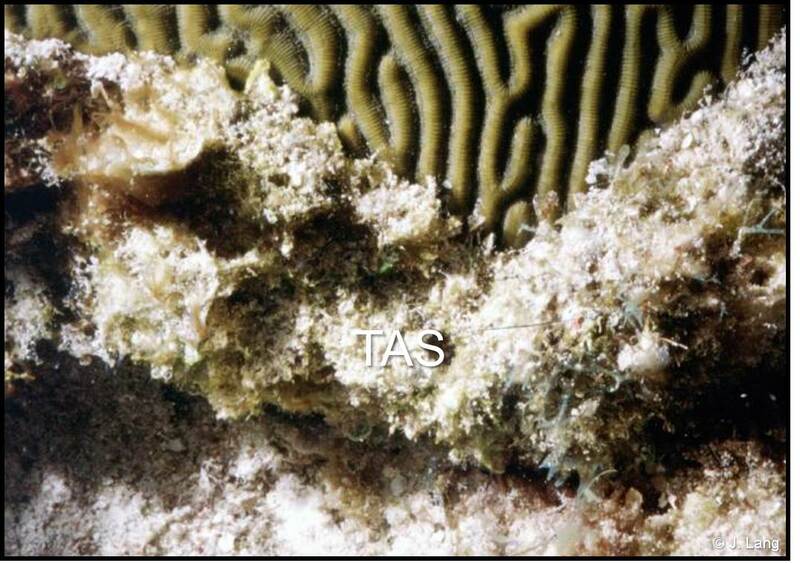 They are overfished for food and the shell for curio trade in many areas.